Blog Your Passion is a sister site to Lorelle on WordPress. It serves to provide inspiration, motivation, and education on the process and profession of blogging. You probably started blogging because you were told you had to or that it would help your business. Maybe a friend or family member insisted that you must blog. Or maybe you were just curious and got hooked and want to know more about how it all works, and how to refine and improve how you blog. This site is for you. Blogging is hard work. It can also be great fun and extraordinarily rewarding. A blog helps you share yourself and your expertise with others. It helps to preserve memories, ideas, and lessons learned along the journey of your life. A blog is a self-publishing platform, but it is also a highly interactive communication tool. It may feature your wisdom or your editorial commentary on the world around you. You can share your personal experiences or the experiences and expertise of others. It can be your journal or it can be a notebook to which you save your thoughts and ideas found across the web. You have many choices as you set up and develop your blog, thus making your blog distinctive and unique from other blogs. It’s your blog. It’s your choices that make it what it is today. One of my favorite analogous descriptions of a blog is found in the lyrics to “For Good” from the Broadway show, Wicked. And we help them in return. Like a comet pulled from orbit as it passes a sun. Like a stream that meets a boulder halfway through the wood. Who can say if I’ve been changed for the better? But because I knew you I have been changed for good. Let this blog be a part of what inspires you and changes your blogging experience. Lorelle VanFossen has been blogging in one form or another since 1990. On average, Lorelle produces almost 2,000 articles a year across multiple sites and magazines. She has been a long time contributor to popular sites and podcasts including WordCast, Blog Herald, Stories of Our Journeys, Woopra Analytics, BlogFlux, Blogger and Podcaster Magazine, WordCast Podcast, WordPress Podcast, Weblog Tools Collection, The WordCamp Report, and Problogger. She was one of the first crash test dummies for WordPress Themes and Plugins. Since 2003, she has beaten WordPress into submission and lived to tell tales and provide training programs and consultation to businesses and groups worldwide. She is a senior editor of the WordPress Codex, the online manual for WordPress Users. 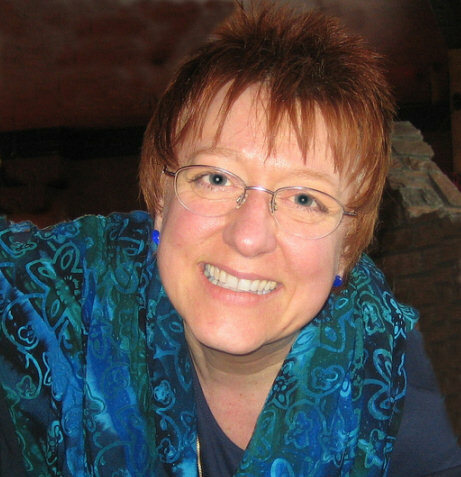 In 2012, Lorelle taught the world’s first full credit WordPress course at Clark College in Vancouver, Washington, helping to educate future web designers, publishers, web developers, graphic designers, writers, business professionals, and advertising, marketing, and social media strategists. She continues to teach at Clark College, Clark College Continuing Education, and other local colleges. She is a frequent guest speaker at colleges and universities on web publishing and WordPress. Lorelle travels extensively to speak as a keynote and trainer at many events as an expert on WordPress blogging, social media, and multimedia web publishing. She is also an inspirational and motivation speaker helping individuals and businesses learn how to have their say and participate in the social web. Lorelle sold her first photograph at the age of 15, a picture of the Matterhorn in Switzerland. Photography, graphic design, and writing have been an important part of her life, education, and work even before that. Lorelle was on both sides of the camera as a model and photographer early on. In the 1980s, she began teaching and producing nature photography workshops and classes, joined by her future husband, Brent VanFossen, in 1992. In 1996, Brent and Lorelle VanFossen gave up their professional and corporate lives to hit the road full-time. In the next 14 years, they traveled all over North America, Europe, and Middle East. They published their articles and photography in magazines and online, and sold their work for marketing and art purposes. Today they have an extensive catalog of nature and travel photography images and articles available for reprint and sale. The images featured on this site represent those images. For more information on the images and reprint rights, contact Lorelle VanFossen. This site is hosted on WordPress.com and uses the Duotone WordPress Theme. The Theme is quite unique as it incorporates an algorithm into the WordPress Theme that analyzes the first image on the page and changes the colors within the web design of that page to complement the image. Each page acts like a mat frame around a photograph. It’s a little like web design magic. The flame photography used in the How to Blog category and elsewhere on the site comes from the free-to-use flame photography by Chuck Bauman. The font is CAC Shishoni Brush. Lorelle highly recommends the free hosted blogging service, WordPress.com for your personal and business blogging needs. For those needing more control for their commercial sites, she recommends the self-hosted version of WordPress. For more information on using WordPress, see Lorelle on WordPress. Copyright Lorelle VanFossen and Brent VanFossen. All Rights Reserved. You are permitted to quote and cite content from this site with properly linked credits and citations within International Copyright Law for Fair Use. The citation must include Lorelle VanFossen of Blog Your Passion and the title of the article in a properly formed link. Our copyright policy for Fair Use is 10% or 400 words. Such usage is for educational and editorial purposes only. Any other usage requires explicit permission from Lorelle or Brent VanFossen. The photography on this site is under the copyright of Lorelle and Brent VanFossen and not permitted for use in any way without explicit permission from Lorelle or Brent VanFossen. Such usage includes a usage fee. If you would like to reprint or purchase usage rights to any Blog Your Passion content, contact Lorelle or Brent VanFossen. Jump in, the water's fine!